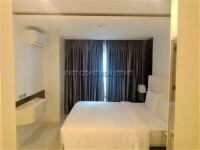 The Chezz Metro Life Condo is a Brand New, ultra modern Low-rise in the Heart of North Pattaya. It has underground car parking, roof top deck featuring infinity pool, sauna, steam rooms, 2 elevators and even a putting green. Of course there is high speed Internet access, a 24 hour reception and security with CCTV and the option of daily maid service if required. 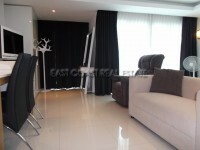 This is a lovely 28 sqm studio that is fully furnished. Comes with aircon and fitted kitchen. It's never been lived in and ready to move in. Make The Chezz you new home.